When our paychecks don’t quite stretch far enough each month, it’s common to find ourselves frustrated with our inability to save. Hours can be spent putting together a budget but if you really can’t give up those little luxuries, having enough money to cover them could prove difficult and not every one of us is willing to take on a second job just for a bit of extra cash. While a short term loan could provide a solution if you find yourself in a financial emergency, covering those ‘treat’ purchases could require a bit of smart thinking. 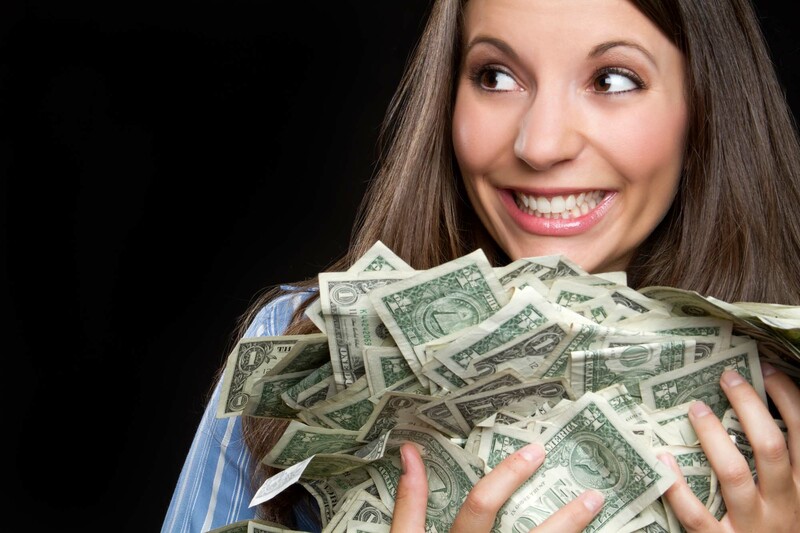 To get you started, we’ve put together a simple list of seven ways to make a bit of extra cash that could prove fun too! If you’re an animal lover, you’ll be thrilled to know that there are countless ways to earn a bit of cash while spending time with the beloved fur balls. Busy businessmen and women can find that their pets go neglected, which is where you can swoop in and save the day! Offer pet sitting, walking or grooming services (if you have the skills!) and you could earn quite a substantial amount during your spare time! For pet walking or pet sitting, the only things you really need are love, affection and a mobile phone! With countless apps including Rover, Pawshake, and PetBacker available at the tap of a screen, you can connect with people looking for care for their beloved animals and start this side ‘career’ with ease. Podcasts are already an incredibly popular content form and with 50% of households listed as being podcast fans in 2017, this is only set to grow. For those of us wanting to capitalize on this popularity, however, it could be as simple as finding an interesting topic, writing an equally as interesting script, and breaking out a microphone. Online marketplaces like Amazon and the iTunes store make it increasingly easy to sell your podcast ‘episodes’ to listeners, and once you’ve started to grow a following, you can even look for sponsorships to help boost that income a little more. If you have a skill, hobby, or you just like pottering about in the kitchen, you can easily turn your craft into cash. The best thing about utilizing your hobby for a bit of extra cash is that it’s likely to be something that you’re doing anyway, or it could encourage you to break out into that hobby yet again. Whether you’re making products you can sell on sites like Etsy or eBay, or you break out the mixing bowl and cupcake cases and get to selling the end product at the local farmers market, it could be a great way to spend your spare time while bringing in funds at the same time. If you fancy yourself as a bit of a photographer in the making, you could start selling your photos for money. Everything from photos of flowers and grass, to smiling strangers or artsy silhouettes, can be sold online, though make sure you get permission from the subject of the photo first! Simply get snapping on a camera or even on your smartphone and upload the images onto a site like Shutterstock, iStock Photo or Getty Images and every time that your images is licensed by a user, you will get royalties off of their use. If you’re snapping photos on the daily anyway, what have you got to lose? If you’re a dab hand at an instrument, have a voice that is just good enough for recording but might not get you through the X Factor or you simply want to get your skill out there, why not record your own music? Independent music is becoming increasingly popular and with plenty of experimental artists out there, even the most unique of voices or music will likely have an audience. iTunes allows you to upload your music and sell it for a small fee and while Apple will get a cut, you’ll also get money for every sale. Whether you have a way with words, could build a website from scratch or have an eye for design, you could easily sell these skills online on a freelance basis. Sites like Fiverr allow users to either sell their service or buy from these providers easily, without the need for marketing your skills to professional companies or taking on a career permanently. Due to the cost-effective nature of outsourcing, more and more companies and small businesses alike are opting for freelance employees on projects and if you have the time to complete these tasks, this could be a great way of pulling in a bit of extra cash. Let’s be honest – we all spend too much time on our mobile phones. Whether it’s the commute home from work on public transport or simply scrolling social media during our downtime at home, our smartphones have become a huge part of our life. If your phone is constantly in your hand, why not try and make some money from it? From survey apps that pay out in vouchers to services that allow you to test new apps for cash, your hours spent scrolling Facebook or Instagram could be switched out for a bit of casual money making. When it comes to making money alongside your full-time job, very few of us want to spend our free time doing something tedious just for a few extra pounds. With one of the above tips, however, earning that cash doesn’t have to be boring – which one will you try?